We've been trying to get on-the-ball with healthy eating around here. I'm doing this not only because for some reason my body is hanging on to food a little more these days (and I'm sure it's not because I'm getting older...ha! ), but I'm also doing it because I'm curious about how food works, and want to figure out how to fuel our whole family's diet a little better. I've sure learned a lot, but man it takes some practice. Spring break kind of threw us for a loop and my sister's trip right after that, and life gets in the way but even with all that, I feel like I got educated enough before that that I've been able to be much more aware of what I'm eating, and what I make for my family. Anyway, I'd LOVE any recipes or tips from any macros people out there. Trying to get enough protein is always a little tricky for me. 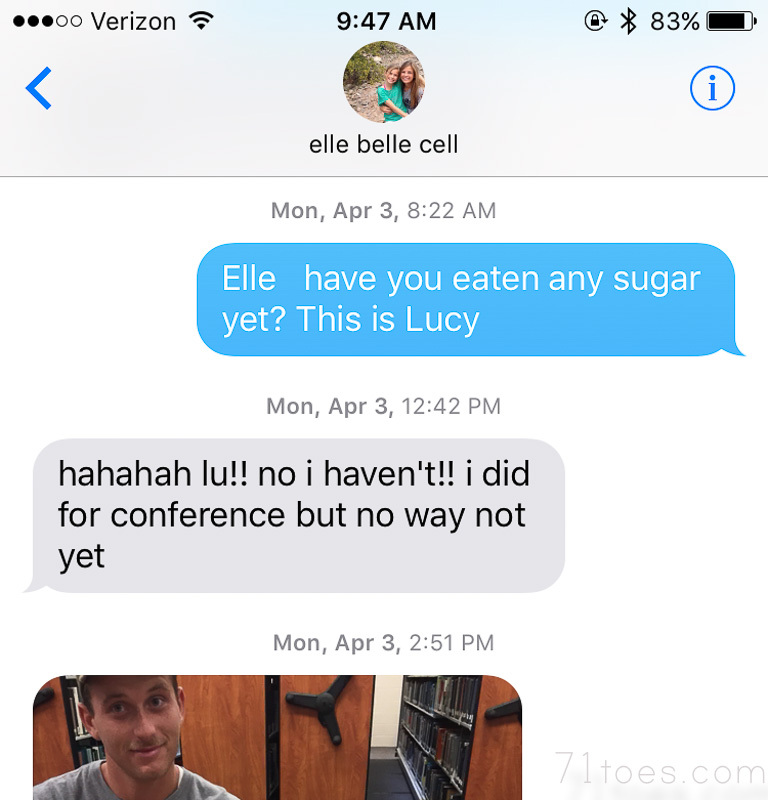 In addition to macros stuff, Elle challenged Lucy to a sugar-free April while we were in Hawaii. 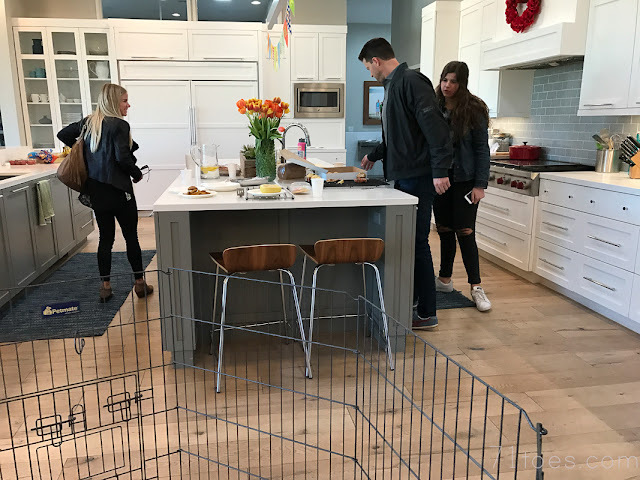 Lucy thought about it for a while and then decided it was a pretty good idea, as long as they had two sugar cheat days: Conference Sunday and Easter. So of course we all joined in, because we figured we could all use that deal and a little detoxing. Lucy has been super great at this in the past (I wrote more about that back HERE), but the last time we tried (Max challenged her from his mission), she lasted one day and wrote to him that it was just too hard to she gave up and "ate 100 cookies" at a church party, her note was complete with a whole bunch of cookie emojis. But this time she is staying strong, as are the rest of us. I'm reviewing good snack ideas from blog readers from these blog post comments back HERE, and would also love macro ideas if you want to send them my way. I don't know much about tracking macros but have you ever read Clean Gut by Alejandro Junger? Very interesting book about how our guts basically are the root of our health for better or for worse and it has a three week gut cleanse diet program. Sounds kooky I know but I swear but we just tried it and I'm a believer now hahaha. I am not sure why it's necessary to go sugar free. You appear to have many meals with fresh produce, you are not eating McDonald's all the time. You have a swimming pool, sport court, home gym, bikes, year round good weather and a community with 5Ks and sports to sign up kids. You are awesome when it comes to living a healthy lifestyle. If I were Lucy I'd challenge you all NOT to challenge me to do anythihg for a year. Is be totally bummed my sisters who are super skinny and lucky enough not to have a reason to have a different metabolism were to keep harping on my weight. I realize diet is the easiest thing for a parent to control based on all the medical issues happening. I realize it's easy to obsess with that. If she eats mostly good stuff and moves daily what is the problem? All she sees around her is perfectly fit people trying to become more "perfect" physically. Her size isnt a character flaw. Most doctors tell their patients to eat low fat, or low sodium or low starches and high protein. Unless it's an allergy. I can admire the no alcohol and no smoking. I just don't understand no sugar fad. Especially with no time periods. Aren't you just making it more tempting to break the challenge or overindulge during times she has access to sugar? When you block out sugar you usually eat more salt or fat. Just eat the lowest calories foods that they eat from each food group. I'm not super familiar with BBS but I believe that in certain cases it can cause a problem with the way your body metablizes sugar. I know it can also cause other health problems that would affect that. You'll have to correct me if I'm wrong Shawni. Either way ,I think this is a situation you shouldn't judge. Nothing was said about losing weight and I think everyone knows sugar is super bad for you so it's a good idea for anyone wanting to be healthier to get off sugar. I have struggled with some health issues- mostly auto-immune disease. Last July, I started losing muscle strength. I went through all kinds of testing and medical procedures. There wasn't much hope for improvement. I could no longer walk without assistance and was close to being wheelchair dependent. I had trouble swallowing because my muscles weren't functioning properly and I would choke. I learned about inflammation and the damage it causes to the human body. Sugar is the #1 inflammatory food. I cut sugar out of my diet, along with corn products. I have not had sugar since September, and I can walk again. I have regained muscle strength. Sugar is toxic to the body, whether people want to believe it or not. It is not fun to have a diet with no sugar. But I have gotten used to it. I have people say to me all the time, "I couldn't do it. I don't know how you do it." And I say, "I do it because I want to be able to walk. I want my health." I was very active before this disease struck me. I worked out, I was a runner, I tried to eat healthy for the most part...but sugar is an inflammatory food and it can cause big health problems for some. Good points everyone. kms I can understand your concern, especially with that last picture of poor Lucy:) I was running out the door pretty quick this morning so I didn't have time to add the part about how I whipped up some sugar-free kind of burnt muffins that totally did the trick for Lucy and she was just fine. Ha! I'll have to add that into the post. This whole thing is really to help us learn to choose healthier choices and sometimes putting sugar on the back-burner for a little while seems to do the trick around here. 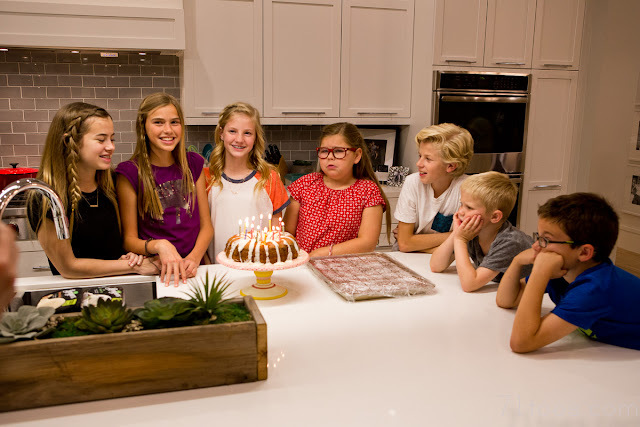 And I love that all these kids are so supportive to try to help Lucy make these kinds of choices because we have seen what happens when BBS kids don't...lots of extra health problems which are pretty tough. 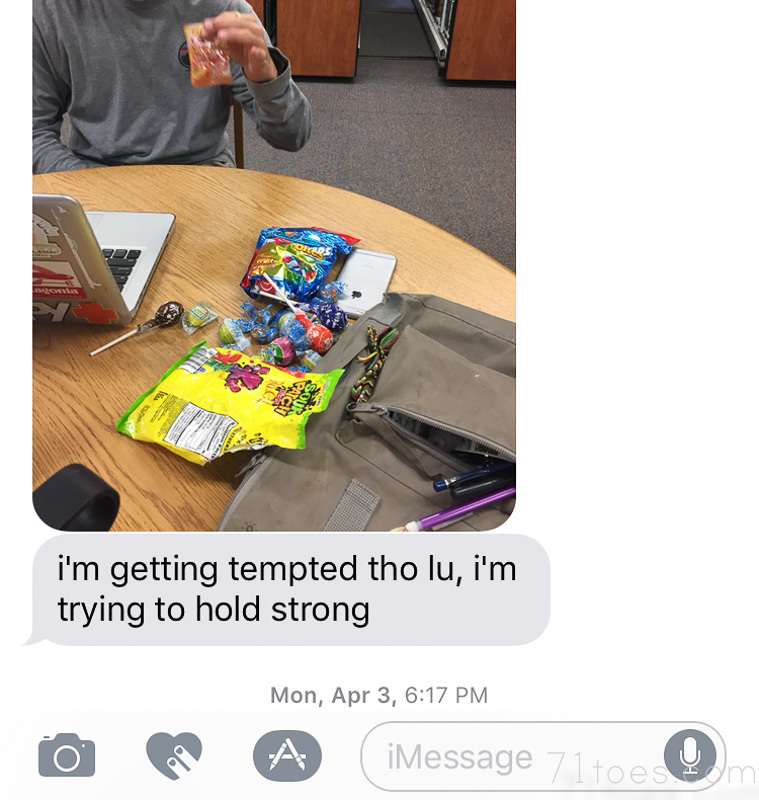 This is obviously not just about Lucy, we all want to be healthy and eat well, and never hurts to seek out healthier alternatives to the sugar is to prevalent around here. But it's pretty fun to see Lucy absolutely glowing with the knowledge that she's doing something hard and good, and she keeps talking about how great she feels so I think so far it's a win. I think struggling with weight/eating may be realitively new to you which is why you've tried so many different, and kind of extreme, things (gluten free, sugar free, macros etc) in recent years. I encourage you to really consider balance instead of elimation diets which aren't sustainable and always backfire; especially for kids. If you goal is LONG TERM health it's all about developing a healthy relationship to food. Creating "forbidden fruit" and a feeling of deprevation is a really bad idea when it comes to weight loss. This theory backfired on my mom big time and resulted in 2 out of 3 of her kids having a lifelong battle with food and weight. There's lots of really thoughtful research in this. Diets don't work long term. Also, I'd encourage you to rethink having your older (thinner) kids giving Lucy these kinds of "challenges" which sets her up to fail and creates a weird dynamic between her and her siblings. When the other kids challenge Lucy - they are doing the challenge, too. So it's not just Elle challenging Lucy to not eat sugar, Elle's doing it WITH her. I personally think that's awesome and a great way for more sibling bonding. Buffalo chicken dip with veggies (1 can chicken, 1/2 block cream cheese, 1/4 cup texas pete) this is really good with celery. Cottage cheese and salsa mixed together. We eat this with tortilla chips. berry protein shake. I take a costco premier protein vanilla drink and add 2 cups spinach and 1 cup frozen berry mix. a slice of lunch meat with cucumber spears in the middle. a slice of lunch meat with a slice of cheese. I love tuna with mayo and relish. On a slice of bread or wasa. Canned chicken mixed with grapes, celery, apple and greek yogurt. Sometimes I add curry too. Thank you!! Love these. Saving them and hope to try unfamiliar ones soon! Oh wow these are great ideas! I'm going to put some of them to work for dinner tonight! Thank you! Oh boy, I do love those macros. A body is a temple, too, right? Since we are eating a plant-based-diet I can not recommend enough the delish recipes from the ohsheglows Blog. Check them out - you won't even miss anomal products because you are discovering so.many.new spices and flavors! 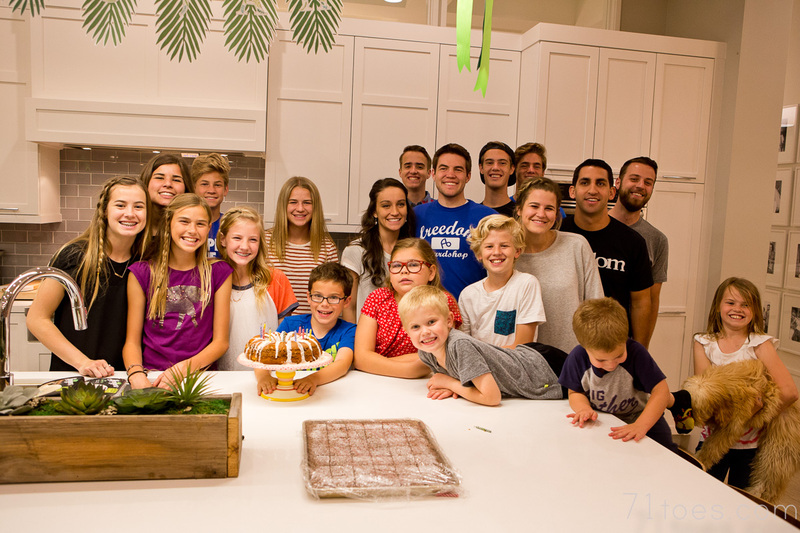 I haven't done Macros, but I did do the 21 day fix "diet" last year as a family challenge. I was not particularly in it for weight loss, but I was amazed at how much more energy I had and how many processed foods I had been eating. Even though the challenge ended, my husband and I both find ourselves planning meals around intentional protein, healthy carb, and fruit/veggie servings. Unconventional Kitchen has wonderful whole food recipes, and there are a lot of 21 day fix approved recipes available on Pinterest that prioritize lean proteins as well. 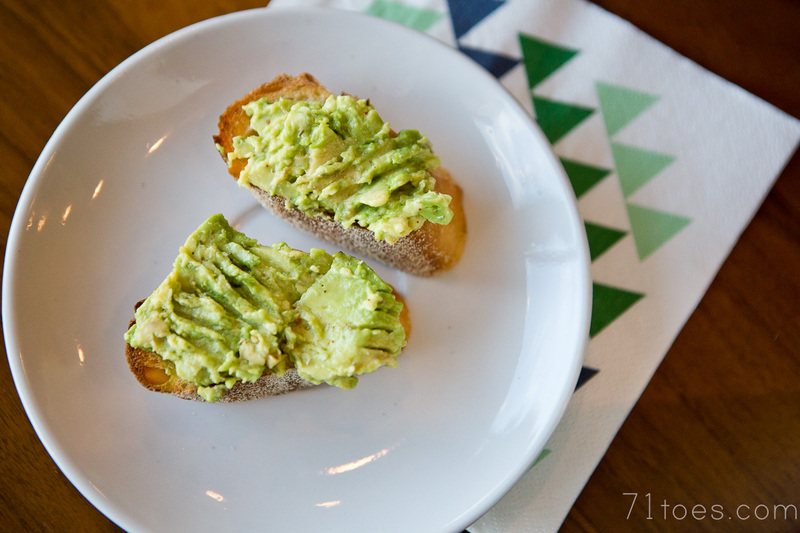 Some of our favorites are egg salad mixed with avocado and mustard instead of mayo, served in lettuce wraps, mini "meatloaf" muffins with ground turkey and veggies, and making our own almond meal (almonds blended in our vitamix) for "breaded" chicken or fish. 4 hour chef also has some great low carb recipes. We went sugar-free for a Whole30 last year and I was amazed after 30 days how much better we felt and looked--more energy, clearer skin. Highly recommend trying sugar-free and high protein intake. Hi Shawni! Sadie Lincoln's company Barre3 is my FAVORITE way to exercise, and they're always posting fresh, healthy recipes on their blog. Plus, if you purchase a Barre3 online membership, you get access to their entire recipe archive. A breakfast we love is called yogurt pie. My kids came up with the name because I only have one silicone dish and it's circle, but you can make it in any freezer safe dish lined with parchment paper. Put plain yogurt in it and then a add a bunch of different chopped fruits. If you can have honey we will drizzle it with honey for extra yum, but the fruit makes its sweet enough. Then freeze it over night. In the morning I cut wedges like a pie and they eat it with their hands. It gets messy like that but they love it. I'm sure you could use a fork. Premier protein bars (30g protein!) They have a really good macro spilt, I love the peanut butter, my husband loves the chocolate mint! Those are a few! If I think of more I'll send them you're way!! 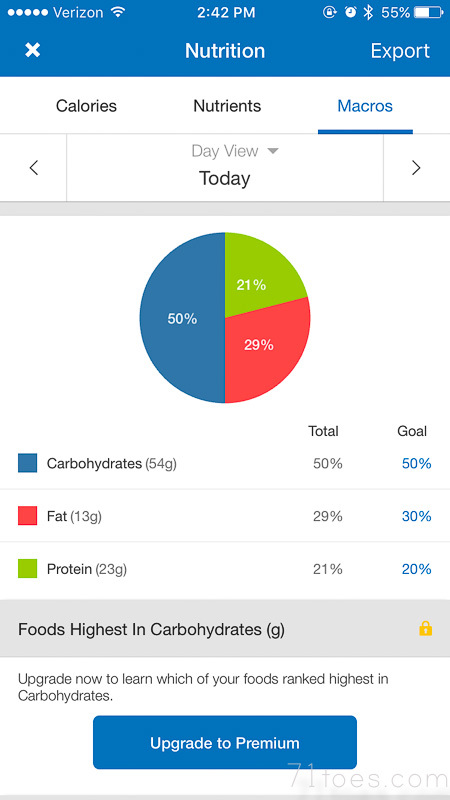 Hi Shawni, is the 50/30/20 the macros you are aiming for? Just so I can see if I have some recipes that will hit your targets. Thanks! Have you tried Chocoperfection chocolate? It contains no sugar, but is sweetened with chicory root fiber, and totally curbs the chocolate craving. I buy it on Amazon. It's kind of spendy, but totally worth it! Have you tried Halo Top ice cream? It's a low calorie ice cream that is full of protein and is pretty dang good. One pint only has anywhere from 200-400 calories depending on the flavor. It's a good treat without the guilt.